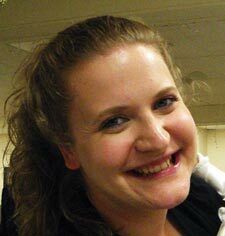 Former College of the Rockies student, Laranna Androsoff, has returned to her hometown of Grand Forks in a new role. Recently hired as the new Aboriginal Family Support Worker for the Boundary Family and Individual Services Society, Androsoff brings an extensive and varied educational and employment history to the position. A descendant of Metis Elder Thomas Taylor, who had strong connections to Louis Riel, Androsoff has long been involved with the Metis community. While still in high school, she acted as the Youth Representative for both the Boundary Metis Community Association as well as for the Boundary Aboriginal Education Advisory Council. She also worked as a summer student for the Boundary Family and Individual Services Society. Androsoff has continued to work on and off-reserve with Aboriginal children and families. She taught at a First Nations Early Childhood Head Start program in Chehalis, worked as an outreach worker for young parents with Chilliwack Community Services and as a Youth Probation and Corrections Officer with Burnaby Youth Custody Services and the Ministry for Children and Family Development. Prior to obtaining her current position, Androsoff facilitated an interactive Aboriginal cultural program throughout the Boundary region.